We offer Financing & Leasing options! The Brand Source credit card gives you the flexibility to pay for your in-store purchases over time while you enjoy your new furniture now*. 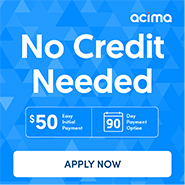 Apply online for instant pre-approval before you shop! 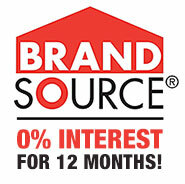 *With credit approval for qualifying purchases made on the BrandSource Credit Card at participating stores. As of March 27, 2018, Purchase APR: Variable 29.99%. Minimum interest charge: $2. See card agreement for details. Offer valid for consumer accounts in good standing; is subject to change without notice; see store for details. May not be combined with any other credit or promotion offer.